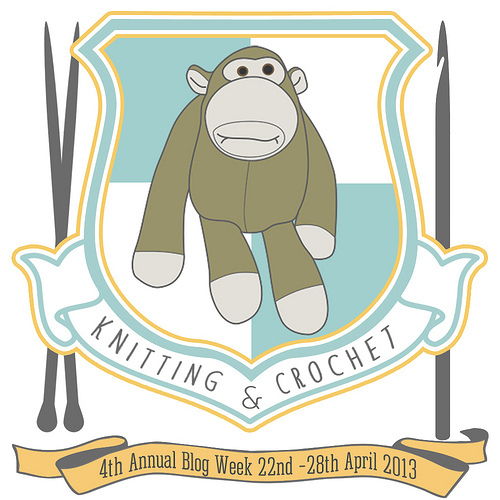 Yesterday, in the Fourth Annual Knitting and Crochet Blog Week, we declared our houses, choosing which of four mascots best represents our crafting style. 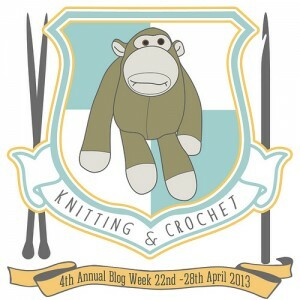 I chose house Monkey – knitting is all about new challenges. Today ( search 4KCBWDAY2 to find other participants), the brief is to describe a mascot project. Your task today is to either think of or research a project that embodies that house/animal. It could be a knitting or crochet pattern – either of the animal itself or something that makes you think of the qualities of that house. […] Whatever you choose, decide upon a project and blog about how and why it relates to your house/creature. You do not have to make this project! It is simply an exercise in blogging about how you come to decide upon what projects to make. Try and blog about the journey which inspiration and investigating patterns, yarns, stitches, (etc) can often guide you through. My initial thought, which would have been an easy post, was to choose Cookie A’s Monkey socks. I like Cookie’s designs, I have the book they are in (or could very easily download the original pattern from Knitty for free) and I’m not exactly low on sock yarn either. That doesn’t really meet the brief. Time to think of something more challenging. 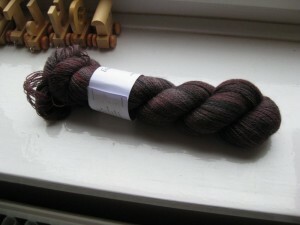 Most of the yarn I buy is bought on a whim: single skeins of lovely sock yarn or lace-weight. They are all just waiting for the right pattern to come along. The more expensive the yarn, the less likely it is to end up as socks. Feet deserve a treat, but there is a limit. 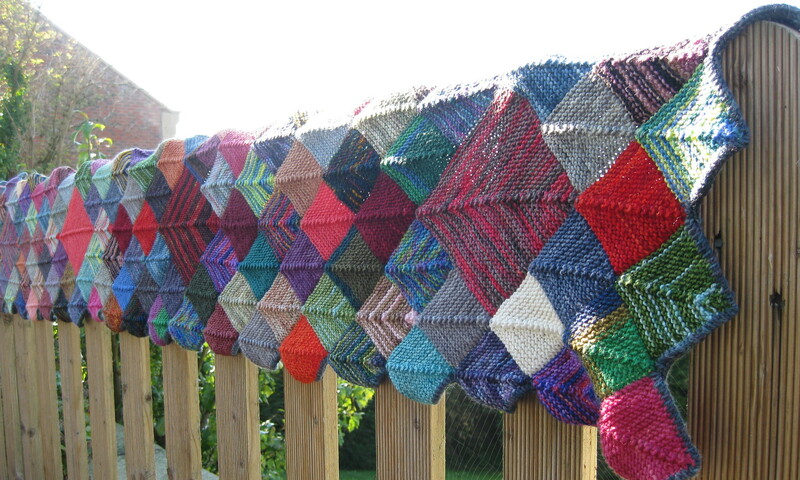 I’m heading towards a shawl-type project instead, and wanting to use up some of the stash. I’ve made one shawl, one lace-weight stole and one cowl for me to wear. I would enjoy a non-traditional construction, or some new techniques. Here are some of the fancier yarns I’m looking to put to good use in a project. 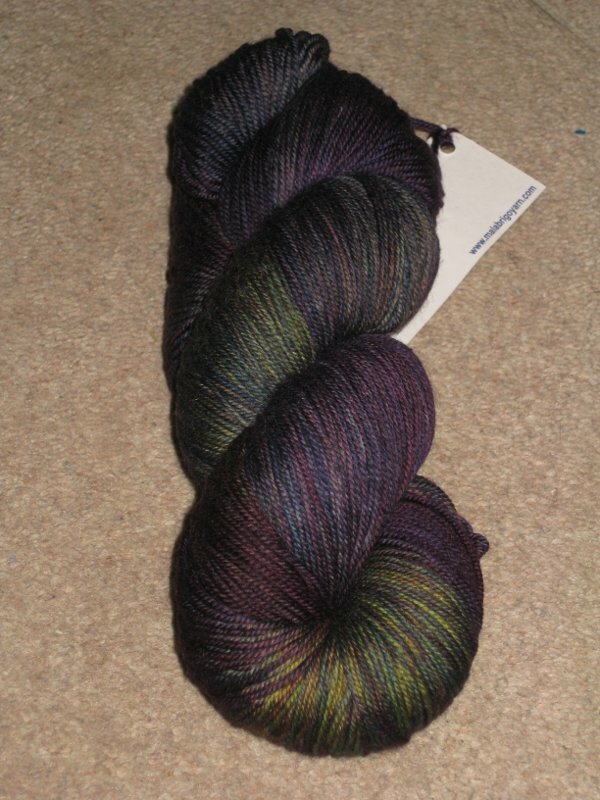 This is some Malabrigo sock yarn, bought at Harrogate Knitting and Stitching Show and waiting for the perfect pattern. More laceweight – a bigger skein (870 yards). Another Harrogate purchase. 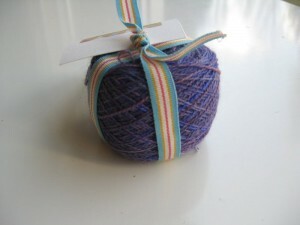 So, here we have three options for yarn to use, of slightly different weight and yardage. The next stage is to hit the pattern section of ravelry and play with the search options. Never done this before? Try it. Seriously, stop reading, click here and come back when you’ve finished. You can narrow down the options in so many different ways. Simmer Dim – Sort of triangular/semi-circular. Brenda Dayne from Cast On has been talking about this shawl for quite a while and I rather like the look of it. Comes in lace-weight and 4-ply. Verve – This is a circular shawl, worked flat. It came from Twist Collective Winter 2011, so its been in my queue for a while. I always read Twist and pick out my favourites, but I don’t think I’ve ever actually bought any patterns from them. This could be a first. It has bonus monkey-fodder of having picots, which I don’t think I’ve knitted before. There’ll be a lot of shawl to get through before the interesting bit though. Windward – Not sure where this idea came from. It’s a Canadian designer, so could be via Yarn Harlot. Described as having a non-traditional construction, which I find interesting (and the description uses the word ‘contiguous’ – marvellous). It is written for Malabrigo Sock yarn, so I could actually use the correct yarn for the pattern – not what I usually do, but there’s a first for everything. So, this is definitely on the short-list. The next option is to look at Romi Hill. The shawl I made last year is one of her patterns and I loved it. I went looking for lace-weight shawls and didn’t find one that particularly appealed, although Firebird came close. The final option is to make a standard shawl, using a set of instructions from Laylock, and make the shawl a bit more interesting by adding a pattern. This is what I’m inclining towards for the little ball of yarn, so I can use as much of it as possible. Heart-shaped looks as if it could be quite interesting. In conclusion, I’ve no real idea what I’m going to do, which is fairly indicative of my knitting style. However, this project will continue in the Extra Credit section of blog week. Within the main blog week there is no expectation of actually making this project – it is just an exercise to look at the process of knitting decisions. For extra credit you can decide to make the project and continue blogging throughout the year. I’ll keep you posted. Holy moly I love all the patterns but the Simmer Din is simply exquisite. Cheers! Glad to provide inspiration. Saw your monkey this morning – love it! Oh the search features on ravelry are brilliant aren’t they? Whatever you do, if it’s with the malabrigo – enjoy it! I once had the opportunity to crochet with malabrigo and can’t wait to get my hands on some again. Love these patterns- and have added Simmer Din to my queue, it’s GORGEOUS! Wow, that malibrigo is beautiful! I’m excited to see what you make with it.